A bowling alley, restaurants and more rooftop bars are slated to open downtown. Long-dormant area around the stadium and arena is experiencing a rebirth, rapidly becoming an entertainment destination. 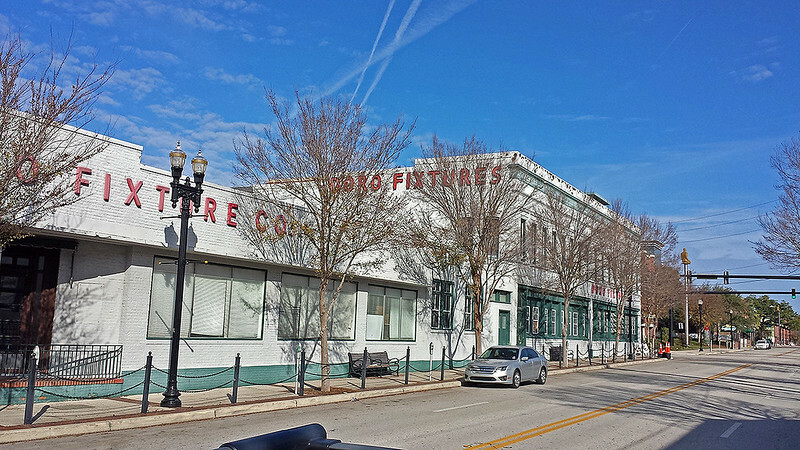 The Doro District, or as we say downtown’s next big thing, is advancing plans to add a bowling alley and entertainment venue near Everbank Field and the Veterans Memorial Arena. 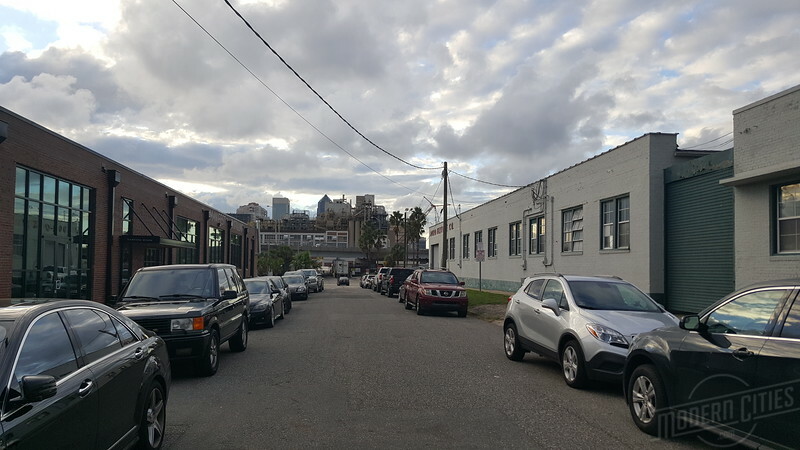 Intuition Ale Works, BLK SHP and Manifest Distilling opened within the Doro District in 2016, and now the much-anticipated second phase of the project comes to light as the project’s developer Iconic Real Estate Investments make plans public. The Downtown Development Review Board is set to consider a conceptual review for Iconic’s plans to further develop the burgeoning Doro District with the addition of a bowling alley, a bar, additional retail space, a private event rental venue, office space and perhaps even residential. Upon approval, construction is slated to start in 2017 and would occur in two phases. The parking lot pictured (above) will be turned into an outdoor recreational space, if plans (below) to construct the second phase of the Doro District are approved. 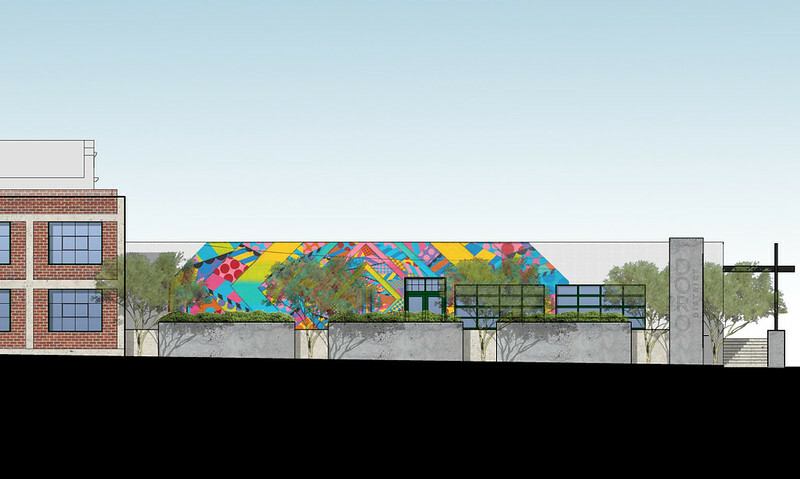 The first phase would include the redevelopment of 44,500 square feet within the former Doro Fixtures building to include a restaurant, bar, bowling alley, a rooftop terrace space and an outdoor recreational/entertainment space. The buildings immediately fronting A Philip Randolph will be reconfigured to include 20,000 square feet of retail, office and a private event rental venue. 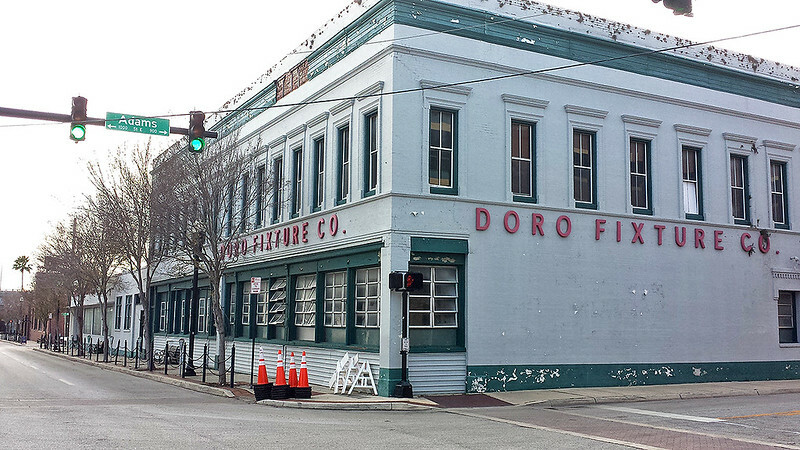 In addition to redeveloping a large portion of the existing Doro Fixtures building, pedestrian-friendly amenities will be added to the street between the Doro building and the former Noland Plumbing building which is currently home to Manifest Distillery and Intuition Ale Works. This roadway is actually an abandoned right-of-way ceded to Iconic, and as a private roadway can be closed to vehicular traffic in order to host outdoor events. One of the existing buildings along Adams Street would be removed to make way for temporary parking facilities. Once the first phase is fully operational and market uses dictate further expansion, a second phase would then begin to construct an as yet identified, two-story residential building on that temporary parking facility. Although the Downtown Investment Authority has recently approved a short term public parking facility at the corner of A Philip Randolph and Bay Street, the first phase of the Doro Fixtures building redevelopment would require an exception to deviate from the required number of on-site parking stalls. Per Code, such a proposal would require 83 parking spaces, and as proposed 34 parking spaces will be created along Adams Street. 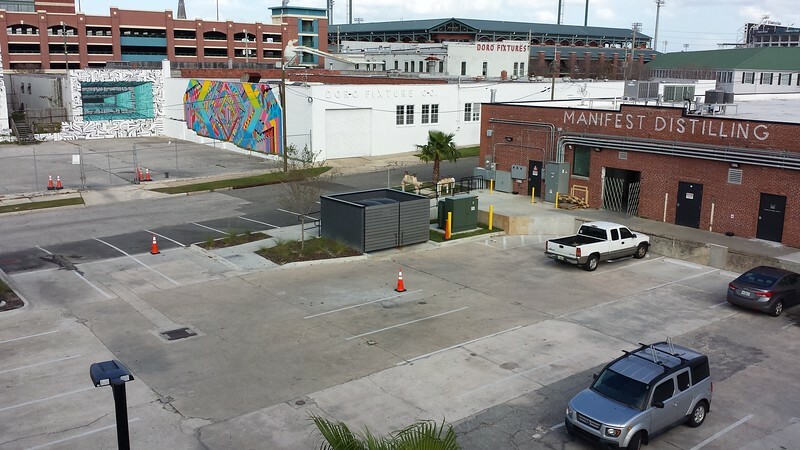 An additional 14 on-street parking spaces may be constructed along Forsyth Street. Any and all of these spaces may be converted on a temporary, semi-permanent or permanent basis to exclusive pedestrian use in conjunction with outside retail activity. With the Doro District being surrounded by a sea of unused parking facilities, coupled with the reality of redeveloping buildings built between 1903 and the mid-1950’s that were not historically required to provide such an auto-centric oriented on-site parking arrangement, it would stand to reason that such a parking deviation would be an appropriate exception. 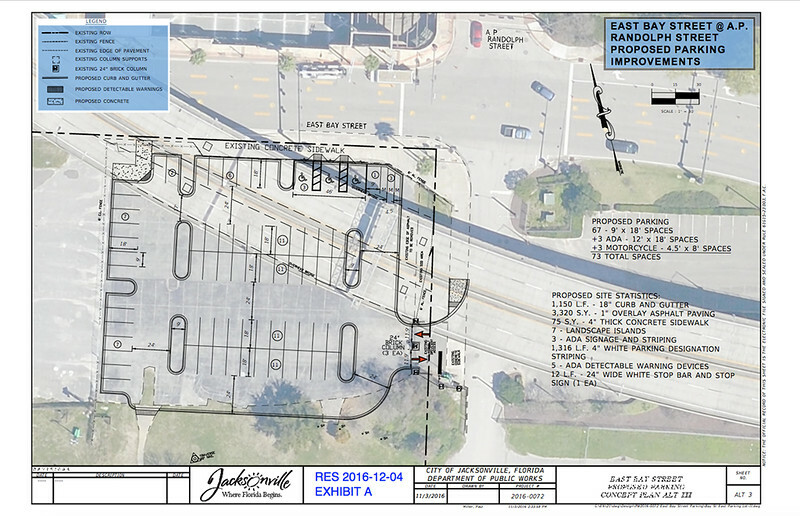 A look at recently approved plans are to enhance Lot X and bring the existing parking facility up to present-day standards. Once complete, this parking facility will be used for short term parking, supporting businesses along Bay Street and A Phillip Randolph Boulevard.